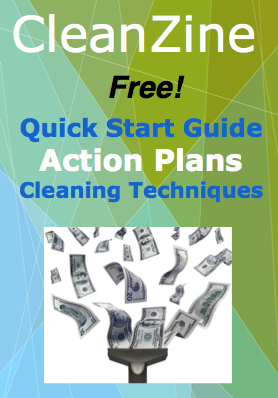 Start a maid service and clean up the home business profits. This is a business you can easily start on a shoestring. We started ours for under $100, which included all of our equipment and supplies for the first month. We made our start-up costs back when we got our first cleaning job, which happened almost immediately. You can make an excellent living. Start a maid service if you're considering self-employment and your goal is to earn good money right now. You do not need any special education or skills, just the will to work and the ability to clean. Housecleaning is not tedious when you are getting paid well to do it. It is one of the best start-up businesses because it is simple to learn and quick to grow. Let’s take a look at the pros and cons. What are the pros of a maid service? What are the cons of a cleaning service? You don't need a lot of money to start a maid service. In fact, when we started I was pleasantly surprised at how many free supplies came with each job. That’s because many, if not most, of your clients will offer the use of their equipment and let you use their supplies. Our clients want us to use their fancy vacuum cleaners and the seemingly endless supply of paper towels in their pantry. This is a win-win situation. They get the satisfaction that the expensive cleaning supplies they bought are being used, and you get to use supplies and equipment for free. You save wear and tear on your vehicle too, by not having to tote around a bunch of equipment. The main idea is to jump in and do work that someone else doesn't want to do. If you can do that, you will earn very good pay. Your clients will know that you must be paid each time you clean. They will leave a check for you. If you do several jobs in one day, you will collect several paychecks that day. This alone is a fabulous benefit to doing this work. You don't have to wait several weeks until you get paid, like you would if you worked for a boss. You are your own boss. Your clients pay you on the spot for the work you do. It's easy to start your own cleaning business and easy to expand it. If you think you are interested in the cleaning profession, but you have no idea which type of cleaning service to start, we can help. We have experience in several types of cleaning niches and we've got the information you need to choose the right type for you. In addition to house cleaning, you may want to investigate the commercial, window, carpet, office, or blind cleaning businesses. What if you only want to work part time? A maid service can be full-time or part-time. Work as you many or as few hours as you choose. Do your kids need you to be around? Or are you a student with various time restraints and obligations? If, for any reason, you need to be charge of your own work schedule so that you can follow up on other commitments when you need to, start a maid service. This home business is perfect for a mom, a college student, or anyone who desires to take charge of their own income and schedule. We know from experience that you can start a maid service anywhere and on out of pocket. All you need to succeed is motivation to start earning good money, confidence and the ability to follow up with excellent and reliable service. It's not difficult and it can happen quickly. Learn more about starting a maid service by reading our informative advice blog.